CCC (UE) have been awarded a contract by a leading EPC contractor in the region for Diving Support Vessel charter to carry out subsea installation activities related to subsea spools installation, ICCP cables, concrete sleepers installation, concrete mattresses installation, grouting works and pre-commissioning assistance. The project is scheduled to mobilise to KSA in December 2018 for a duration of approximately 6 months. The DPII vessel “CCC Pioneer” along with fully manned ABS classed saturation diving system, SPHL, Air support, observation class ROV, construction support equipment, diving and survey teams will be mobilised by CCC (UE) to undertake the required scope of work. CCC (Underwater Engineering) has been awarded a contract to undertake ROV as-built surveys of subsea pipelines, offshore Abu Dhabi. 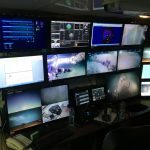 As-built survey operations will be conducted utilising the CCC (UE) owned DP2 “Said Aletheia” and Seaeye Cougar XTi 1449 Remotely Operated Vehicle (ROV). The ROV as-built pipeline survey scope will cover 9 pipelines with an approximate accumulative survey distance of 200km. 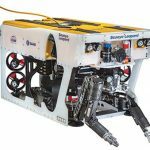 CCC (UE) takes delivery of the SMD BT 500 hard ground subsea trenching machine in Abu Dhabi, United Arab Emirates. The BT500 trencher has work in hand to trench ten (10) subsea cables (approximately 40km in accumulative length) offshore Abu Dhabi in Q4 2018, with more projects scheduled in the region for 2019. CCC (UE) has secured a turnkey contract offshore Abu Dhabi (UAE) for laying, trenching, testing and termination of ten (10) subsea cables, commencing in Q3 2018. 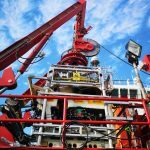 CCC (UE) intends to utilize the DSV “Said Aletheia” and the newly acquired BT 500 hard ground trenching system for the offshore works along with other in-house resources. The project is due to last approximately 4-5 months. CCC (Underwater Engineering) has been awarded a contract to undertake the external inspection of subsea pipelines, offshore Abu Dhabi. Inspection operations will be conducted utilising the CCC (UE) owned DP2 “CCC Maritime 2” and Seaeye Leopard 1706 Remotely Operated Vehicle (ROV). The external inspection scope will cover over 350 pipelines with an approximate accumulative survey distance of 1,999km. The visual inspection will be used to verify the condition of the pipelines including the status of field joints, coating, anodes, third-party crossings, debris, possible damages, etc., while the instrumental inspection would define the pipeline alignment and the pipeline /seabed configuration. All video images will be recorded in High Definition (1080i) to enhance the visual inspection and reporting of the subsea pipelines and CCC (UE) also intends to utilise the Sonardyne SPRINT-Nav 500 all-in-one subsea navigation system on the Leopard 1706 ROV to improve the subsea positioning when working at distances from the DPII vessel or close to structures in the field. CCC (Underwater Engineering) has been awarded a contract to undertake I.R.M. services, offshore Abu Dhabi. The I.R.M. campaign will be performed utilizing CCC (UE) owned DP2 “CCC Pioneer” and air diving equipment/personnel for detailed CVI of boat landings, riser protections, fenders, risers, clamps, UT measurements, inspection of caissons, anode inspection and ACFM inspections of the existing platforms, in addition to the installation of dropped object projection over several pipelines. The project is expected to commence in July and last around 2 months.